Madeleine was admitted to practice in 2010 and called to the Bar in 2015. 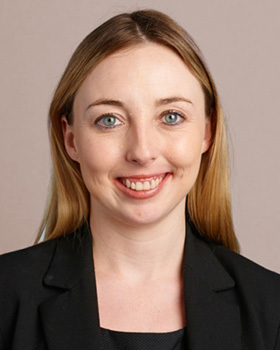 Prior to joining the Bar, Madeleine practised as a Senior Associate in the Commercial Litigation group at Allens. She also worked at Linklaters in London and at the Australian Government Solicitor in the Competition & Consumer Law group. As a solicitor, Madeleine’s practice was primarily in commercial litigation, acting for clients from a broad range of industries in diverse areas of law. Madeleine is a versatile junior counsel who practises in both commercial and public law and enjoys drawing on her diverse experience to assist her clients. Her experience to date has spanned advisory work and appearances in proceedings in the High Court of Australia, Federal Court of Australia, NSW Court of Appeal, NSW Supreme Court and NSW Land and Environment Court as well as in tribunals and commissions of inquiry. She aims always to adopt a strategic and pragmatic approach to litigation. Madeleine holds a Bachelor of Laws (Honours) and Bachelor of Arts from the University of New South Wales and a Master of Laws from the University of Sydney.